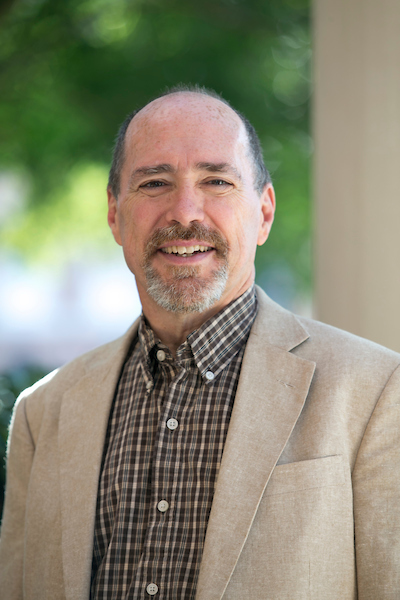 Tim Hall came to Samford after 23 years at Central Michigan University. He taught early American history and history education and served a six-year stint as department chair before moving into the dean’s office at CMU. He served four years as Associate Dean of the College of Humanities and Social and Behavioral Sciences before making the move to Birmingham and Samford. His scholarship is in the field of early American religious history and the Atlantic world. Longmans Press recently released the second edition of his Colonial America in an Atlantic World, which he co-authored with T.H. Breen. Tim enjoys hiking, playing bass guitar, working on home improvement projects and traveling with his wife, Sheree, who has worked most recently as a museum educator. Their daughter, Alethea, lives and works in Nashville and their son, Ian, hopes soon to be teaching English in South Korea.